Entry price $8 (U18 free) or $12 with joint entry to Melba. Sunnymeade has been created by the talented plantsman Peter Shaw of Ocean Road Landscaping. The formal design incorporates many noteworthy features such as extensive drystone walls, a sunken garden, fire pit and sculptures. This is not your ‘traditional’ garden space! 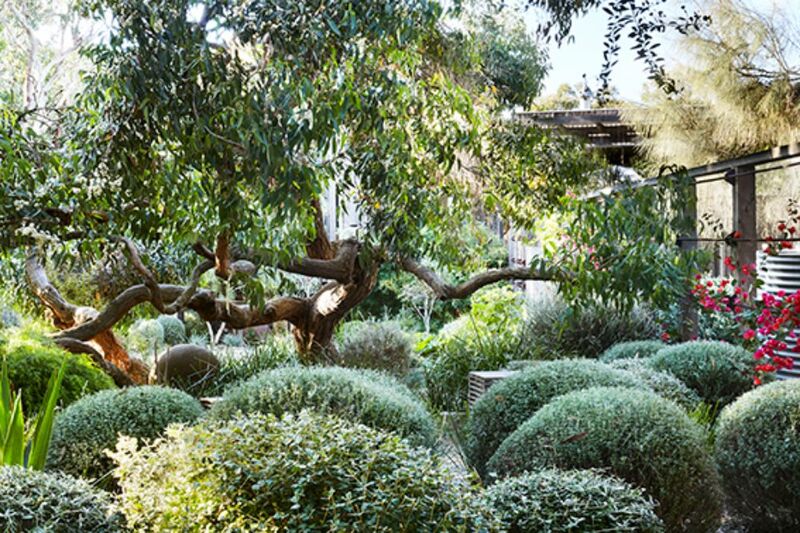 The award-winning garden first impacts you when you enter to view the extraordinary sculptured grass mounds and shrub plantings with a canopy of local Stringybark gums. 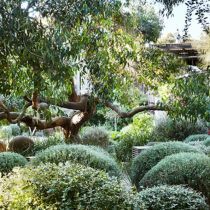 Stone walls soften level changes around the house, and fields of grasses have been used in natural clumps and deliberate lines to connect the walls and gravel paths seamlessly – consequently the garden has a soft wavy feel. 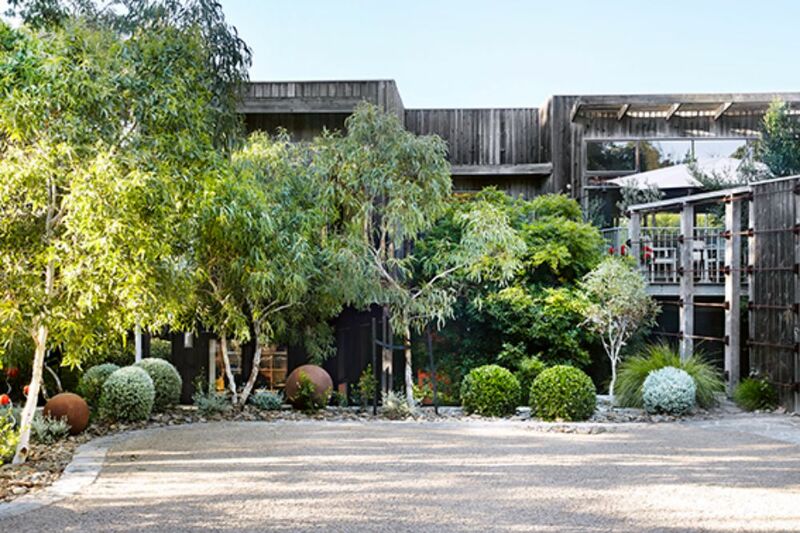 At the bottom of the drive is a dramatic display of shrubs clipped into ball shapes. 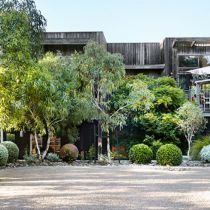 A pistachio tree shades the front door and the beginnings of a living screen provide connection to the buildings and the landscape. A delightful Moonah forest has been planted at the back of the garden. There will be a sausage sizzle and/or other food available, depending on the weather, and wines for sale by the glass and takeaway bottles from Blakes Estate.